It’s the most common reason people avoid spin classes in gyms: they don’t know how to set up their bike for the class. And not every instructor is in the habit of beginning each class with a “How to Set Up Your Bike for a Spin Class” powerpoint presentation. Yet, we know that indoor cycling is a great class to help you meet your goals, so let’s not let fear of the unknown stop us any longer, okay? 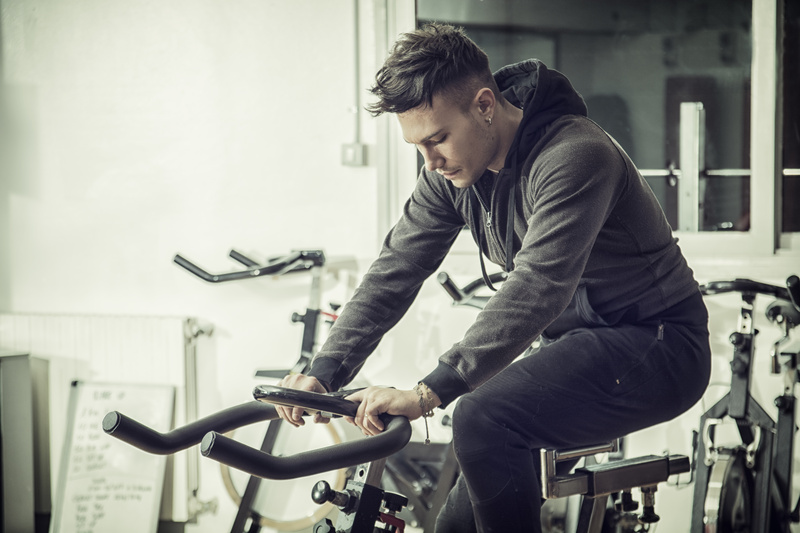 So let’s give you a brief tutorial so that if it’s your first class you can set up with confidence, or if it’s your favorite class you can get a nice refresher on how to make sure your bike is set up to give you your optimal workout. These tips apply to both our indoor cycling classes and our Group Ride and R30 classes! 2. handlebar position (where your handlebars are relative to your saddle height and arm-length). That’s really all there is to it! Make sure to bring your towel and your water bottle, and don’t forget – if you have any questions not only can the instructor help you out, but your fellow classmates are almost always more than willing to help you out! Ready to give spinning or Group Ride a try? Remember – your first class is always free at Elevate Fitness Clubs in Syracuse, just fill out the form at the bottom of this page! And get more great tips from Darcy here!